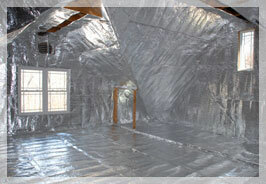 Did you know that today over 100 million homes are under-insulated? That means that billions of dollars every year are being wasted because of the lack of proper insulation. And some of that money could be yours? 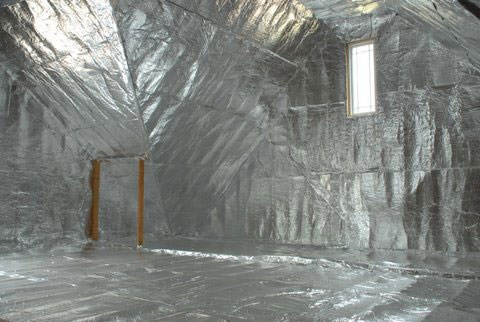 During the winter months, heat can be lost through poorly insulated attic space. And in the summer, attic temperatures can reach up to 150 degrees which could cause an increase in your energy bill by over 30%. In many homes, conditioned air travels through radiant-heated attic space which greatly increases energy costs and puts high demands on your heating and cooling system. eShield™ is a revolutionary new product that can help you slash your heating and cooling cost by up to 25 percent. Utilizing the latest emission-blocking technology developed by NASA, eShield™ reflects an astounding 97 percent of all radiant heat transfer, which is the number one cause of home energy waste. eShield™ is effective for the entire life of your home without settling, condensation, or mildew. Plus it never needs to be replaced and requires no maintenance. If you are tired of your energy and your energy bill going through the roof, call us today at 770-955-6400 to learn more about the amazing eShield. We will be happy to answer any questions you may have and help you start saving energy and money!